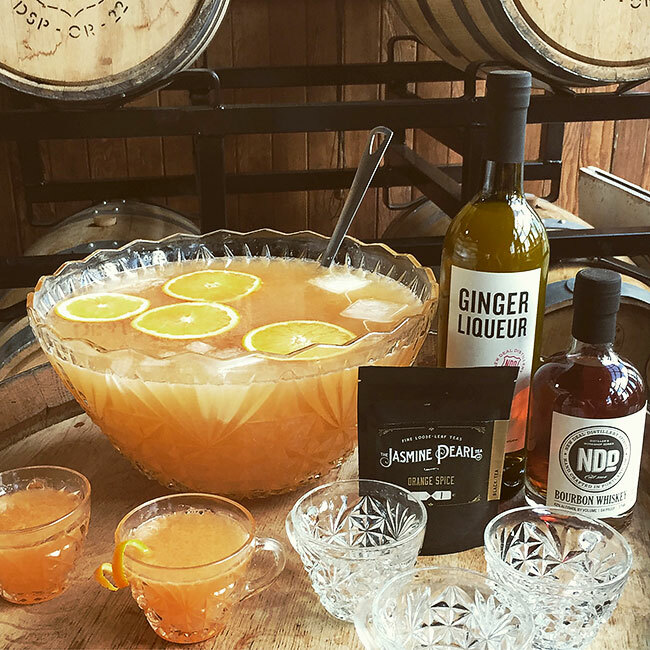 Combine all ingredients in a standard-sized punch bowl. Serve over ice in 4 -5 oz cups. Makes 10-15 servings. Cold-Brewed Orange Spice Tea: Combine 3 tsp The Jasmine Pearl Orange Spice Tea loose-leaf tea with 24 oz cool water. Place in fridge overnight (10-14 hours). Strain off liquid and add to punch bowl or store in fridge for up to three days.